Der Start ins Business. Was ein Einstiegsgerät in der Business-Klasse benötigt, zeigt HP mit seinem neuen ProBook 440 G3. Hierbei darf Intels neue Skylake Generation nicht fehlen. Leider schleppt auch die 14-Zoll-Version Probleme des ProBook 430 G3 mit sich. 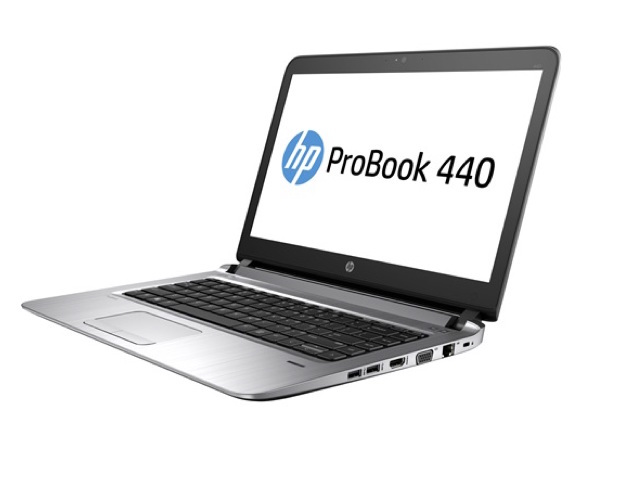 The HP ProBook 440 G3 (starting at $579; tested at $924.45) offers a durable design, adequate performance, a comfortable keyboard, decent sound and security tools made for IT managers. Unfortunately, its subpar battery life (at least from the standard battery), slow-to-act touchpad and dull display hamper its value. Hands down, one of the best budget laptops you can buy right now. The laptop has it all – impeccable and solid build quality and great choice of materials, near perfect keyboard and touchpad experience, especially when you consider the price point, and most of all, the notebook has one hell of a long-lasting battery. The 44Wh unit combined with the Core i5-6200U CPU and the energy-efficient 14-inch TN panel will probably get you through the day with a single charge. Well, it mostly depends on your usage, but the results from our battery tests are impressive, nonetheless. Oh, and we forgot to mention that the machine is quite thin (21.1 mm) and weighs just 1.67 kg with the option of an additional M.2 SSD stick alongside the 2.5-inch HDD. This is absolutely a bang for the buck device. Positive: Decent hardware; good connectivity; good design. Negative: Short battery life. Positive: Solid workmanship; great choice of materials; relatively portable; excellent keyboard and touchpad; decent battery life; M.2 SSD slot. Negative: Poor display. 70.55%: Diese Bewertung ist schlecht. Die meisten Notebooks werden besser beurteilt. Als Kaufempfehlung darf man das nicht sehen. Auch wenn Verbalbewertungen in diesem Bereich gar nicht so schlecht klingen ("genügend" oder "befriedigend"), meist sind es Euphemismen, die eine Klassifikation als unterdurchschnittliches Notebook verschleiern.